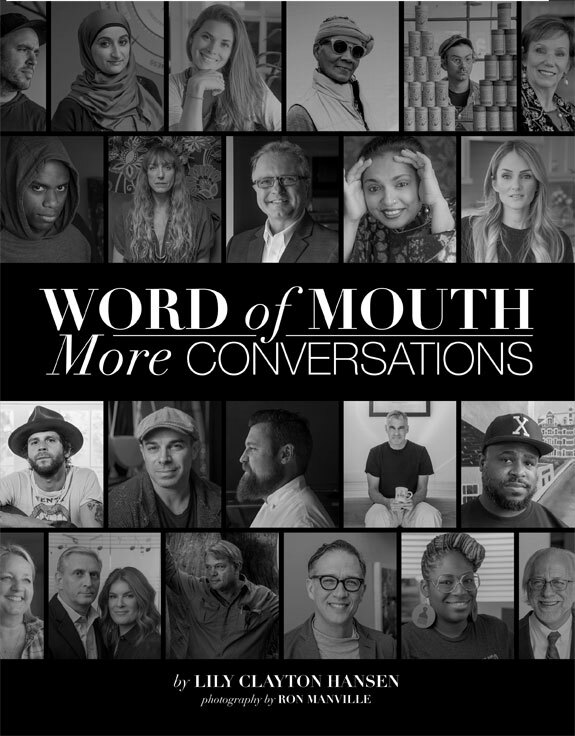 This holiday season, if you’re struggling to find the perfect gift for your favorite Nashville enthusiast, look no farther than the beautiful second book in Lily Clayton Hansen’s collection, Word Of Mouth: More Conversations. The coffee table book, full of interviews and portraits of some of Nashville’s finest, truly grasps the the essence of what makes Music City so special: it’s citizens. The timeless coffee table book will delight anyone with a penchant for learning more about the place they call home. Pick up your copy HERE. Through her years living in Nashville, Lily has become an expert in the art of conversation. Some even describe her as a “people whisperer”. She thrives from learning about others and expertly locates nuggets of wisdom through listening and learning about her subjects’ lives. Her writing style is unmatched and in this book, she brilliantly captures her subjects with thought-provoking, insightful interviews paired perfectly with stunning photographs. You’ll see Nashville as it is supposed to be seen: a city full of passionate individuals, from all different backgrounds, who come together to make the city great. You’ll hear their successes, feel their hardships, celebrate their victories, and learn their wisdom. 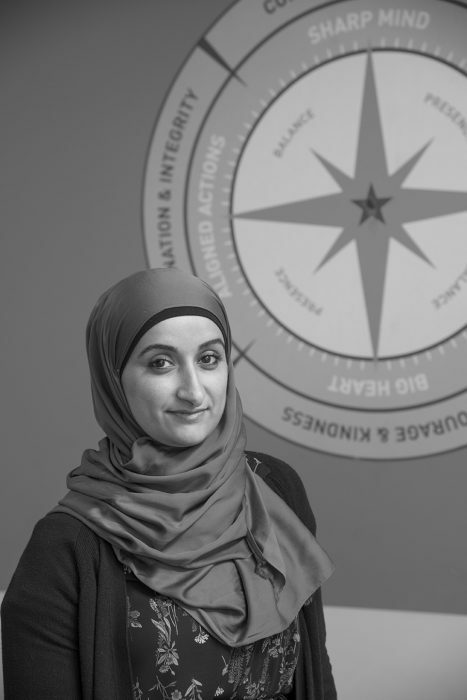 Excerpt from Word Of Mouth: More Conversations interview with Kasar Abdulla. What was it like to have the program you created, Welcoming America, recognized by the President of the United States? KA: While I was shocked, it was also very empowering and humbling. Sometimes you get so wrapped up in your work that you don’t know if it’s important or not. To have it affirmed by President Obama, who I later met with in Nashville, was a real honor. The recognition motivated me to do more. Why do you think we are so quick to ask outsiders to adapt without trying to understand their culture? KA: Our nation was founded upon assimilation versus integration, which has created an “I am the best” mentality. Schools are the best way to desegregate and celebrate diversity. In them, we can make sure kids receive the same opportunities. Another way is through affordable housing. By tackling classism, we can take care of other issues. Excerpt from Word Of Mouth: More Conversations interview with Kahlil Arnold. 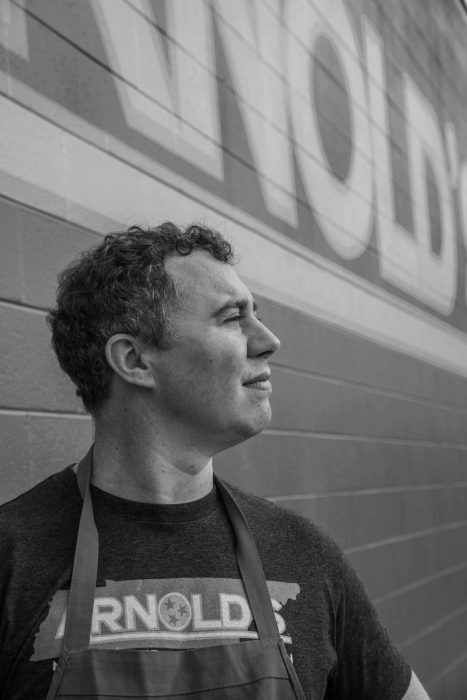 How would you describe Arnold’s to someone who had never heard of your restaurant? KA: We’re not fancy. This is food the way it’s supposed to be made—from scratch, with time, attention and a great love for every customer that comes in. I think it’s why we’ve always had regulars who enjoy taking their friends to and telling them about Arnold’s. This is a family-oriented environment where the chefs and restaurant industry folks are all friends. Everyone welcomes one another with open arms. Why do you think this city values word of mouth so much? KA: I’m not sure but it truly does! We have groups come in all the time who say “so and so sent me,” which is truly how we’ve stayed in business all these years. We couldn’t afford advertising. My dad was all about passion, taking care of the customer, and never cutting corners, which is the source of our survival. If you’re good to others they’ll be good right back. This is the “Volunteer State” and the compassion I’ve experienced here is all I’ve ever known. I just hope big money doesn’t change the ‘help your neighbors out” mentality. AIGA Nashville included the book as one of their top picks in their annual local gift guide this year. Pick up an autographed copy (now on sale for a limited time) through Lily’s website HERE. If you’d like to grab a copy of the first book in Lily’s collection, grab it on Amazon HERE.